This new mobile solution makes use of an aluminum chassis, comes in 13.3-inch and 14-inch versions (the 13-inch model is 14.9 mm thick, the 14-inch is 20.9 mm), and features a yet unnamed Intel processor, up to 8GB of RAM, a 500GB/1TB hard drive or a 128GB solid state drive, and 8GB of ExpressCache memory which ensures lower boot and access times (Samsung claims that its machine can come out of sleep mode in under 2 seconds). 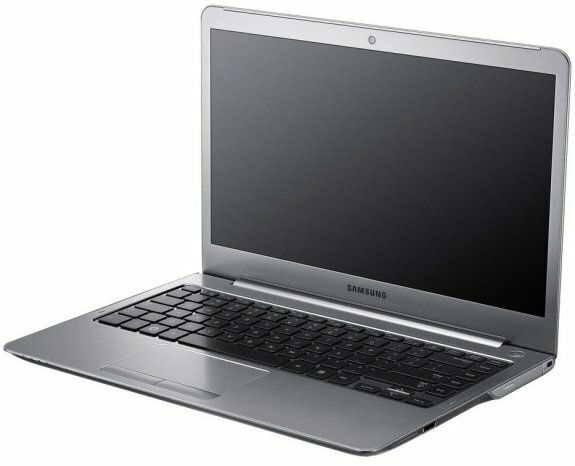 The 14-inch unit boasts a Radeon HD 7550M discrete graphics card and an optical drive while the 13.3-inch model has to settle for an integrated Intel GPU and no ODD. The Series 5 Ultra also has WiFi, a webcam, two USB 3.0 ports, and both D-Sub and HDMI outputs. Pricing in Korea is said to range from about US $1,121 to US $1,339.